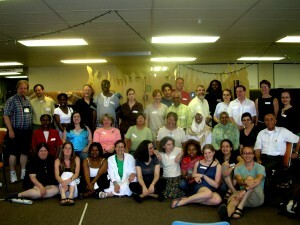 From June 9-12, 2005, the inaugural symposium of the International Institute for Community-Based Peacebuilding was held at the Ontario Institute for Studies in Education at the University of Toronto, Canada. 2. a global information network and training resource accessible to and influenced by its intended users: practitioners, policy-makers, and theorists who areinvolved in community-based peacebuilding. Grassroots Peacebuilding in Action and Dialogue brought together a group of 45 local and international participants engaged in grassroots peacebuilding theory and practice and representing 13 countries. It was a highly interactive event and encouraged sharing of experiences, collaboration on educational materials, learning new skills, developing new theoretical insights and working to build an ongoing network for mutual support and the sharing of stories, resources, and knowledge.